Just A Car Geek: R.I.P. Sergio Marchionne - Thank You For The Fiat 500 Abarth. R.I.P. 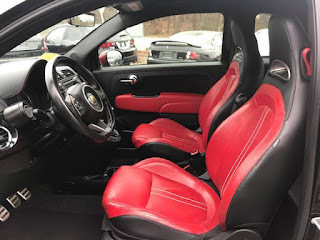 Sergio Marchionne - Thank You For The Fiat 500 Abarth. Bringing the Fiat 500 to the U.S. was a ballsy move. In general we are not fond of tiny cars. Mini wasn't selling a ton of cars here and they had a head start. There was no reason to believe that the Fiat 500 was going to do any better, and it didn't. 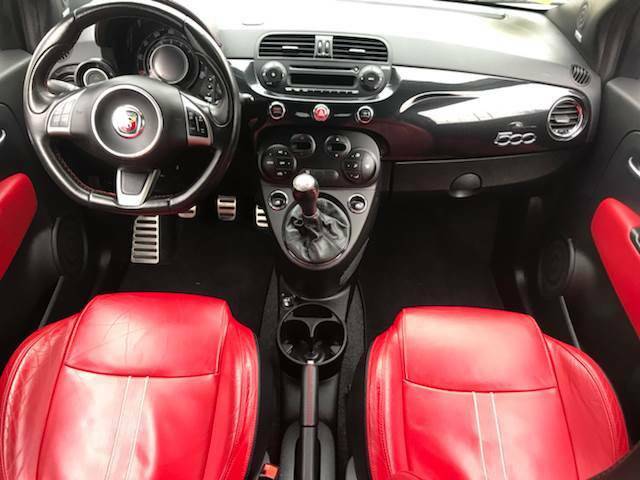 Yes, the 500 Abarth is a sports car. It doesn't look much like a traditional sports car, but in the behind-the-wheel-smiles-per-gallon-category it is every bit a sports car. 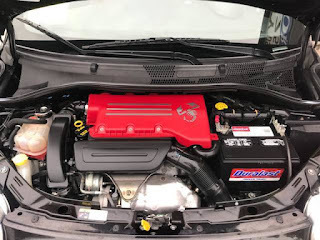 In a nutshell, to create the 500 Abarth, Fiat basically stuck a turbocharger on their tried and true 1.4 liter 4 cylinder engine. It was good for 160+ horsepower and 170 lb-ft of torque. 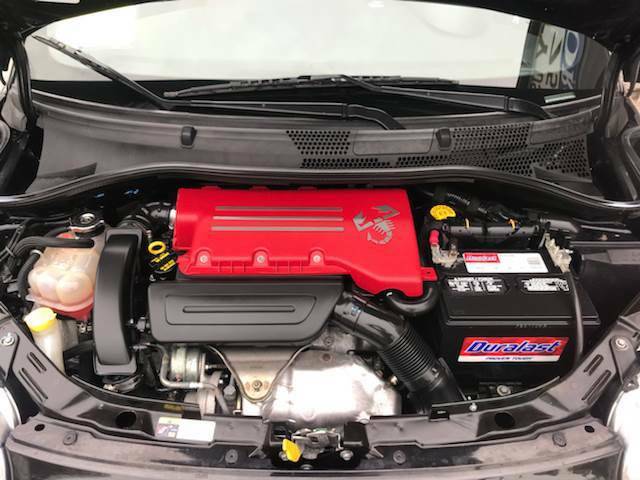 That may not sound like much, but the 500 Abarth only weighs around 2500 lbs. They also tweaked the 500 suspension, making that horsepower very usable and enjoyable. Oh yeah, they also deleted the muffler. The 500 Abarth is loud and sounds as good as many sports cars costing 5X the Abarth's base price. On the inside Fiat gave the Abarth a cool flat bottomed steering wheel, hung a boost gauge next to the steering wheel and generally upgraded the interior. It's not fancy, but its not a bad place to be. As I mentioned, you can find these cars all day long for less than $10K. Yes, you could get an older Miata for well less than 10K. Even a decent Triumph Spitfire or MGB will cost less. But the Miata is common and the Triumphs and MGs are old. 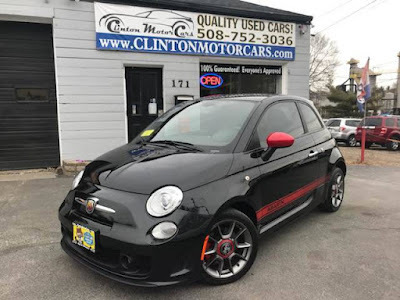 The 500 Abarth is a car with all the charm and personality of an older British or Italian sports car along with the reliability (and they are relatively reliable) and dealer network / parts availability of a modern car. If I were in the market today for a fun to drive, quirky sports car, I'd be buying a 500 Abarth. Thank you Mr. Marchionne for giving us this car. 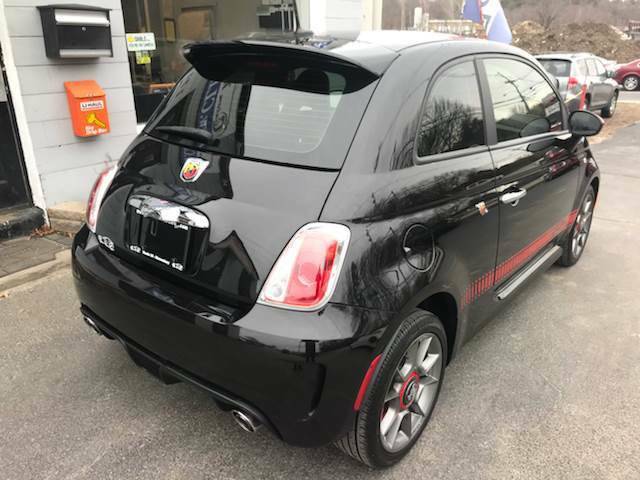 This particular 500 Abarth is located in Shrewsbury, MA. But, you can mostly likely find one closer to wherever you live. Click here to see the Craigslist ad. I just discovered your blog and love it. And I own a Fiat Abarth that looks exactly like this one. Bought new a few years ago, it rides (as you say) like a sports car costing five times as much. Peppy and fun. The car attracts lots of attention (usually "What is that?") and my car mechanic is endlessly amused by the loud growling exhaust. Buying this vehicle is the smartest thing I've ever done. At the time, it was cheaper than anything else on the market (including Mini) and money was tight. Now I'll hang on to it because it's fun.